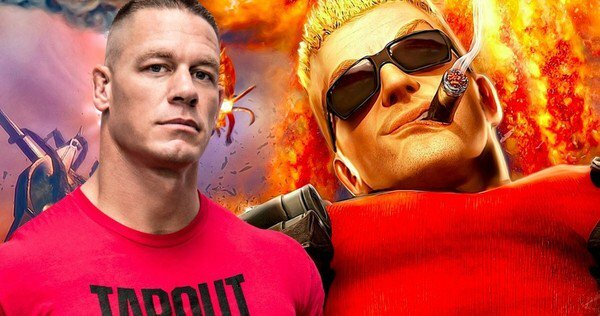 Home Entertainment	John Cena in Talks to Portray Duke Nukem! Video games being converted into films or a television series has never really been successful. Probably the only series to have any type of traction and fan following is the Resident Evil film series; even though the later makes of the films weren’t very well received, as a whole, the series has been a major financial success. Duke Nukem is a game series that was very prominent and a favorite amongst gamers in the 90’s with a failed resurrected title in 2011; the series has many different spinoffs across several consoles and handheld devices. With news of WWE’s John Cena possibly playing the titular character, we couldn’t help but smile at imagining Cena on the big screen gunning down baddies Punisher-style. And we’ll admit: Cena has seen an increase in decent film roles. Perhaps his film career will take off along the same path as Dwayne Johnson’s did, which was very successful in transitioning from pro wrestling to a full time actor. I mean let’s admit it: most of the the WWE, Smackdown or ECW wrestlers have not seen much success in transitioning into acting (except Steve Austin, he’s had a few good roles). Set to be released through Paramount’s Platinum Dunes company, the untitled Duke Nukem film still has no writer or director.